Joe Belfiore, Mr Mobile at Microsoft, has moved to remind Windows Phone users that Microsoft has not abandoned work on bringing Office to the company's mobile platform. In a blog post on Weibo, Belfiore wrote: "Our Office team has not forgotten Windows Phone." Windows Phone users might have seen themselves as being left behind given the recent launches of Office Mobile for iPad and Android (even on its own website, Windows Phone is third in the pecking order, behind the iPad and iPhone). 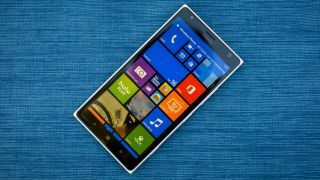 Belfiore admitted receiving comments and letters from Windows Phone aficionados who "expressed frustration" at those launches "without accompanying news around what will happen on Windows Phone." China is a market of growing importance for Microsoft and Belfiore hints that a few announcements will be made at a single event before the Chinese New Year which takes place on February 19. Some of these features will be "specifically for the China market" and could be revealed at the Windows 10 event that is scheduled for January 21. 2015 is likely to be the year when Microsoft reveals more about the next iteration of Office 365, with its launch likely to happen towards the end of the year.